Organic products produced locally unattractive to majority of consumers due to high prices, say experts. Despite the growing demand worldwide for organic food, the Egyptian market is still unable to benefit from this trend in order to maximise its exports. Agriculture experts say that most of the domestic production of organic food, which is weak in numbers compared to all other foods, is channeled for export, while only a small percentage is made available to the local market. They explained that companies that produce organic food prefer exporting as it gives them flexibility to increase prices. 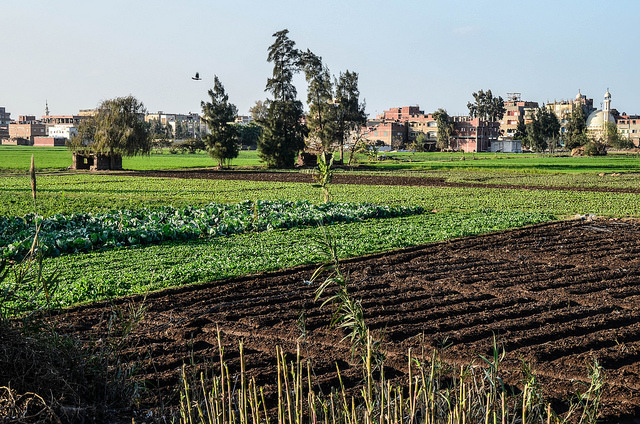 Gamal Seyam, a professor of agricultural economics at Cairo University, said that Egypt produces very little quantities of organic crops, compared to traditional crops, and there are only 30,000 feddans across Egypt for organic farming. Those are used for all organic crops, including plants, medicinal herbs, and vegetables. Seyam said that the main reason behind the weak demand on organic vegetables and herbs is the low income of Egyptians, who cannot afford to pay three times the price of traditional food for organic products. Read the full article by Basma Ragab via Daily News Egypt.